Conquer Together Challenge – LIVE NOW! Big news Managers! 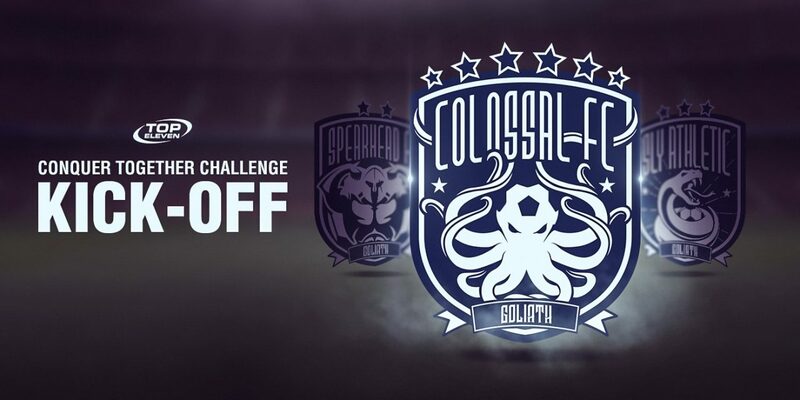 The Goliath Group has created some of the most powerful clubs in the Top Eleven world and they have decided to challenge your Association! Time to join forces and show them who’s boss – the Conquer Together Challenge is LIVE! Team up to defeat huge Goliath Group clubs. Every member contributes by scoring goals and winning matches. Progress through stages together and unlock amazing rewards in the first ever Top Eleven Associations challenge. Are you and your teammates ready? The time to Conquer Together is NOW!